With a goal to reduce traffic congestion and enhance safety, the Georgia Department of Transportation (GDOT) has awarded an $800 million contract to North Perimeter Contractors LLC to complete the Transform 285/400 project in 2020. This priority project for the state adds new flyover ramps, collector-distributor lanes and other facilities to aid east-west travel along I-285 and north-south travel along SR 400. It will improve 4.3 mi. of I-285 from west of Roswell Road to east of Ashford Dunwoody Road and 6.2 mi. along SR 400 from the Glenridge Connector to Spalding Drive. The Mount Vernon Highway bridge over SR 400 will be reconstructed, the Abernathy Road and SR 400 interchange is being reconstructed as a diverging diamond interchange (DDI) and a shared-use path to provide a connection through the interchange for planned bike/pedestrian facilities is being built in the southeast portion. 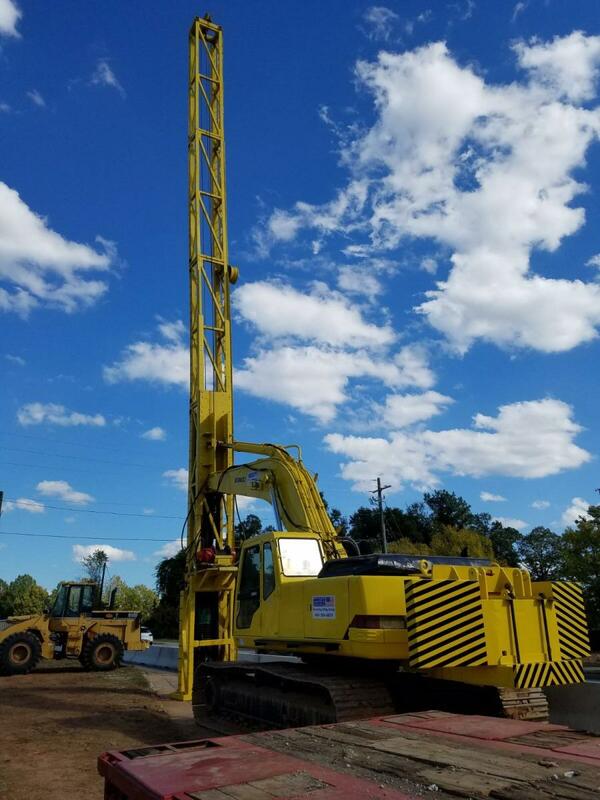 The groundbreaking took place in November 2016 and construction began in earnest in February 2017 with a focus on construction-related activities such as utility relocations, roadside clearing and geotechnical and survey work. In October 2017, work began on the reconstruction of the Mt. Vernon Bridge replacement, which should be completed in early 2019. 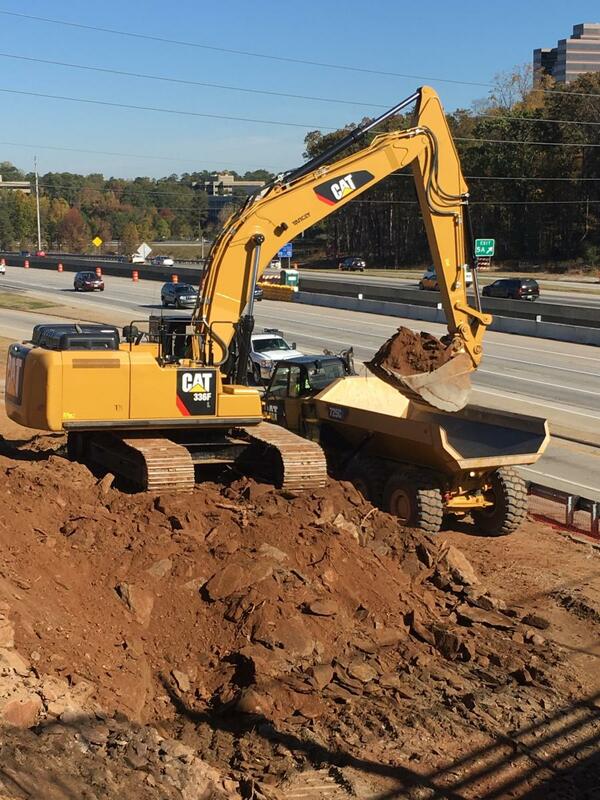 The design-build-finance project (DBF) also will improve operational efficiency by saving 20,000 hours per-day in travel times by 2019, reducing weaving along I-285 and SR 400, and improve ramp geometry at I-285/SR 400 interchange. It is being funded through a combination of state, federal and local sources, as well as private-partner financing. Local contributions from community partners include $10 million from the PCIDs, $1 million from the PATH Foundation and an additional $2.25 million from the city of Sandy Springs for bicycle and pedestrian enhancements. Albert Welch, PE., GDOT's program manager, stressed that the project is much needed. Welch added that bicycle and pedestrian improvements — part of the plan to reduce congestion — are funded, in part, by contributions from local community partners. “There will be additional bicycle and pedestrian improvements made across Mount Vernon Bridge and along Abernathy Road through the DDI to help facilitate bicycle and pedestrian connections,” he said. The new infrastructure was designed by Louis Berger (the I-285 section) and Neel-Schaffer Inc. (the SR 400 section). The original plan was to have the project split into two sections, but after reconsideration, it was determined to go with a combined project. Drainage is a major engineering challenge. The designs for the infrastructure had to take traffic into account. 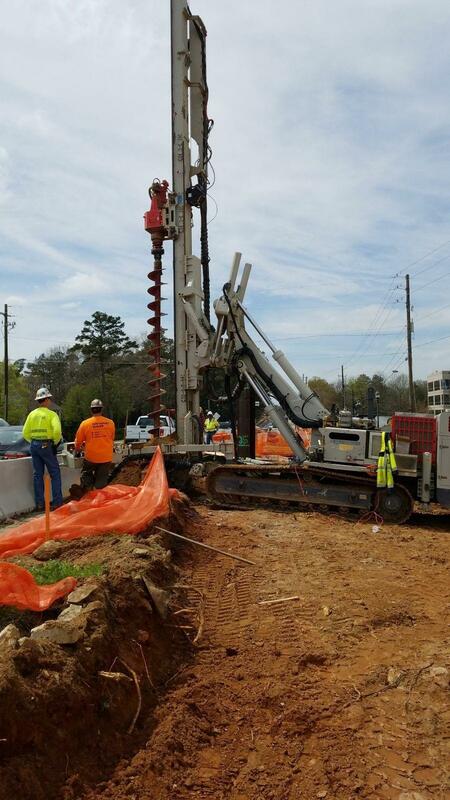 Standard construction materials are being used, but “GDOT has always been pretty advanced when it comes to pavement types,” said Albert, who noted that highway infrastructure projects are designed to meet traffic demands 20 years plus. The lifespan for road and bridge projects is between 50 and 100 years with proper maintenance. Noise barriers will be placed in selected locations along I-285 and SR 400, within the project limits, to deal with complaints. They will feature a light, “gull gray” stone appearance with graffiti-proof coating. The contract encourages barriers to be set up on a practical basis early on. Construction is taking place 24/7, seven days a week to meet the work schedule. 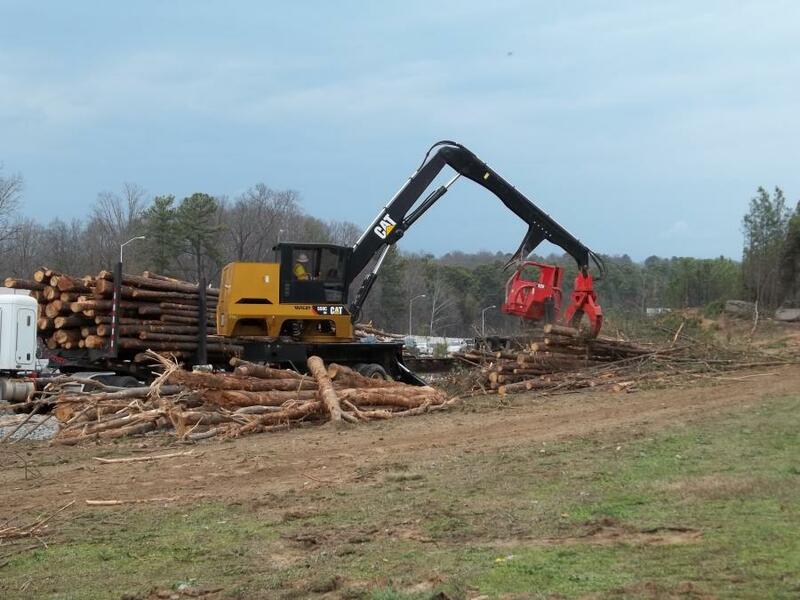 North Perimeter crews, thus far, have removed 80 percent of the vegetation along both I-285 and SR 400 and reconstructed 30 percent of the Mount Vernon Highway bridge. 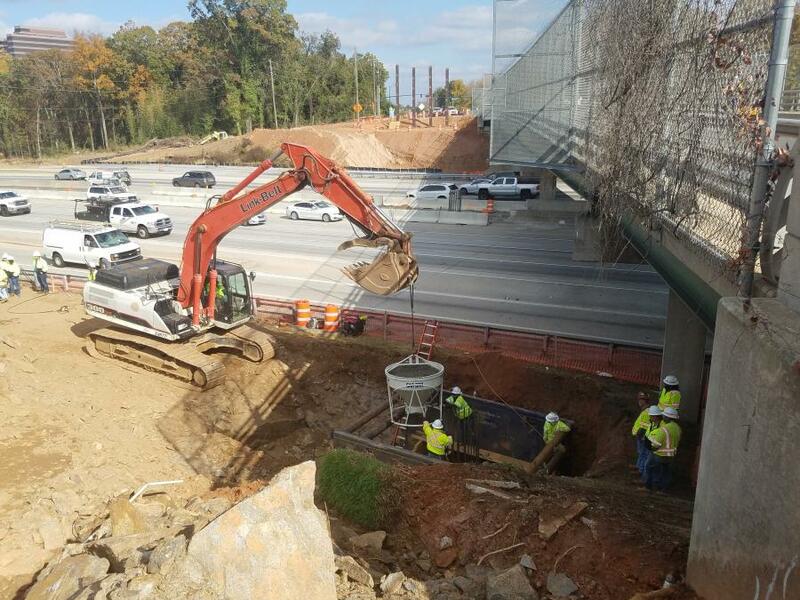 The benchmarks for the 2018 construction season are to proceed with the flexible shoulder lane closure on SR 400 northbound and southbound, construction of the flyover ramps in the interchange and the collector-distributor lane along I-285 and SR 400. “One of the main challenges for the project is maintaining traffic during construction,” said a North Perimeter spokesperson. “The Transform 285/400 Interchange Improvement project is in the heart of one of metro Atlanta's busiest residential and business districts with more than 400,000 cars passing through the interchange per day. The bridge work is proceeding as planned. The project is in the early stages of roadway construction. The overall project is still in the design phase and final quantities for materials being removed and brought in are under review. The recycling plan for the project is all encompassing, extending from the field to the office. On a peak day there are more than 500 workers on-site, and so far more than 276,000 man-hours have been logged. 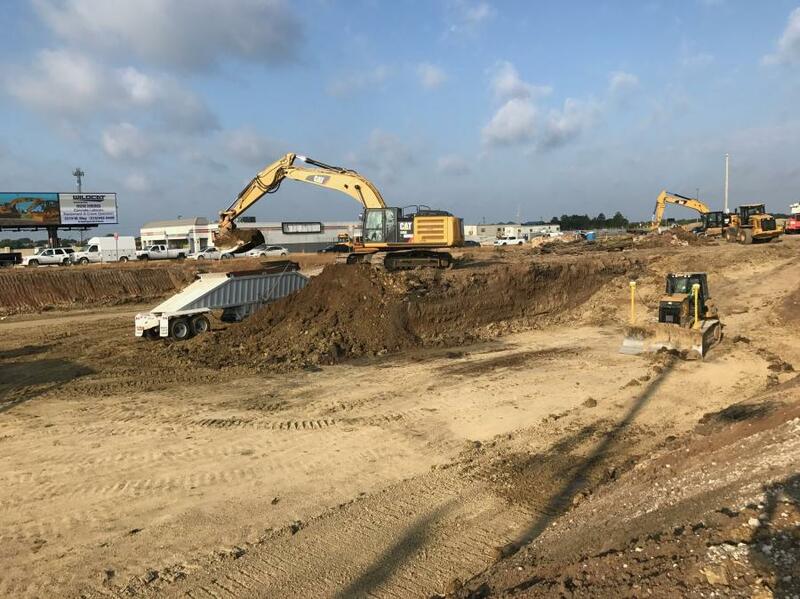 On this project, North Perimeter Contractors LLC is using a variety of equipment such as cranes, excavators, dozers, loaders, pavers, and rollers from a variety of dealerships.